Painted around the exterior with the 'Three Friends of Winter', pine, prunus and bamboo, growing from rocks and breaking waves, the coiling stems forming stylised auspicious characters 'Fu Shou Kang Ning', (prosperity, longevity, health and peace), interspersed with stems of lingzhi, all below a band of further scrolling lingzhi stems at the shoulder, the short cylindrical neck encircled by upright leaves. 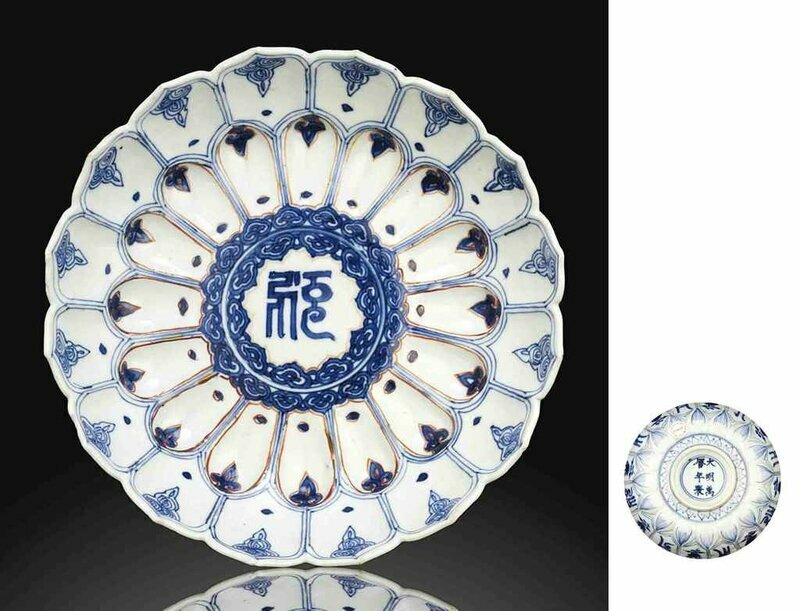 Note: This pattern originated from the Jiajing period. 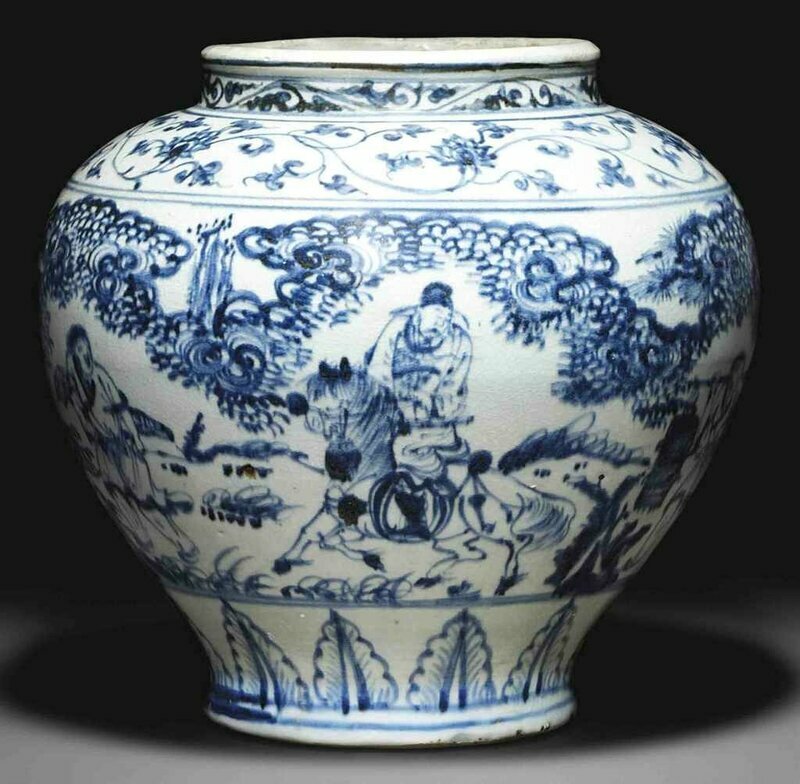 Other Wanli-marked versions of this jar include an example exhibited at the Oriental Ceramic Society, London, Chinese Blue and White, 1954, catalogue no. 182; and another of larger size (23.5 cm.) from the Jingguantang Collection, sold in our New York Rooms, 16 September 1998, lot 365. 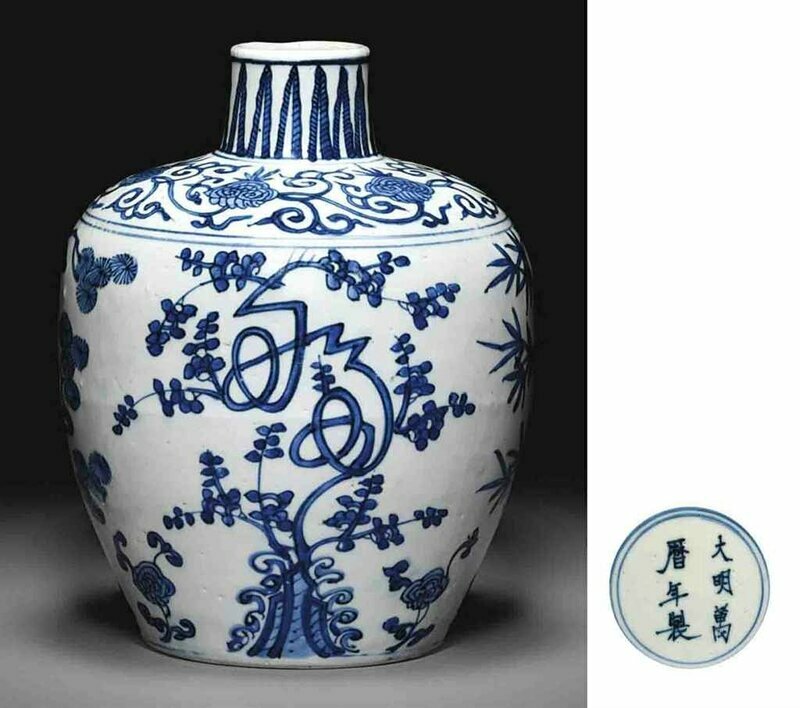 Compare a similar Jiajing-marked jar, previously from the collection of Mr. and Mrs. Alfred Clark, sold in our Hong Kong Rooms, 28 November 2005, lot 1426.